Support Impact NW Employee Brittany in her 500-mile Bike Ride for Buckman Elementary’s SUN Program! Impact NW’s Schools Uniting Neighborhoods (SUN) Program empowers low-income and homeless children through education and enrichment activities. Our program needs your help to raise funds so that more students can benefit from the fantastic activities and classes offered through our program. Help Impact NW employee Brittany Morris, SUN Program Volunteer & Tutoring Coordinator at Buckman Elementary School, raise money for her SUN school by supporting her 500-mile bike ride! 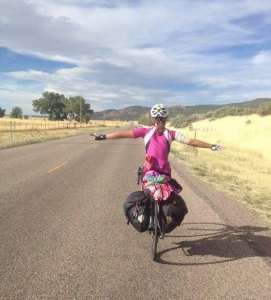 Brittany is riding around the Northwest for 8 days this August to advocate for this great cause. Brittany needs your help to raise $5,500 for her school, which will allow the Buckman SUN Program to open up 78 more classes to kids. You can follow Brittany’s journey on her blog.